Situated in the Town Hall (Palazzo Pubblico), the building’s original purpose was to house the government. 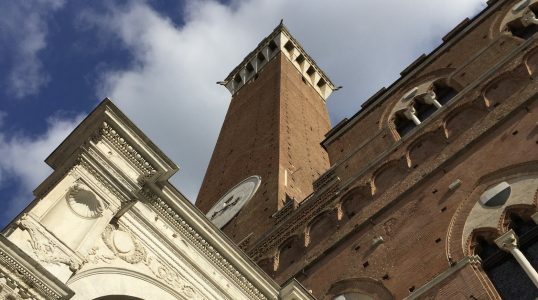 That is why it contains the unique non-religious 14th century frescoes and a path to the tallest Tower of its time – Torre del Mangia. It had to be taller than in Florence! Today’s plus side – after climbing 400 steps, you can eat pasta without the fear of weight gain! Tips: In summer the Tower waiting time can reach 2 hours, so buy the ticket and visit the museum while waiting for your timeslot.